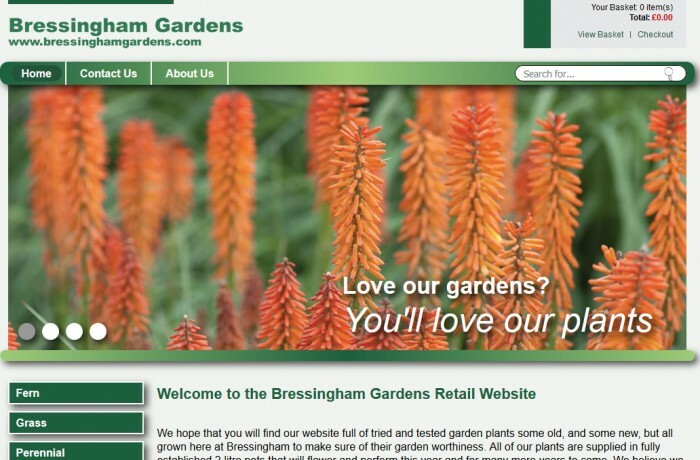 Bressingham Gardens is a plant nursry based in Diss in Norfolk and specialise in Ferns, Grasses and Perennials. The website they wanted had to be an ecommerce website and easy to use, this was achieved with our ecommerce backend built in-house with all the facilities they needed. They are able to add as many products and product categories as they please with just a few clicks of the mouse.